Laid down, 15 August 1944, at Chicago Bridge & Iron Co., Seneca, IL. 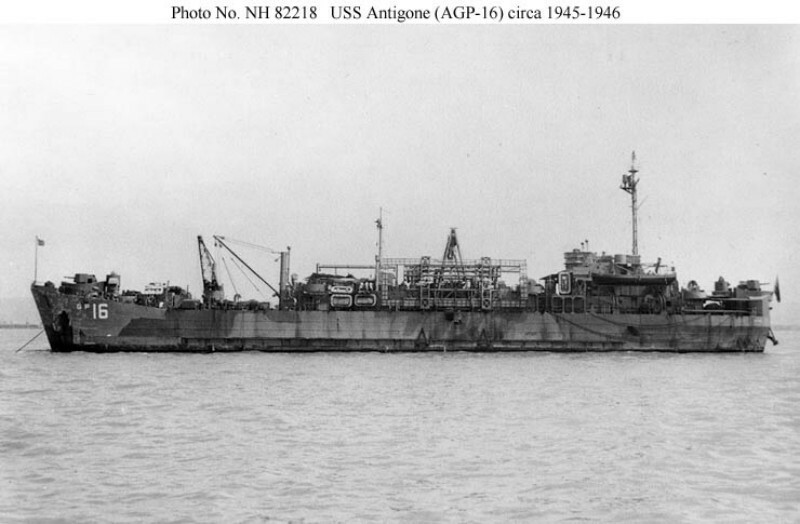 Commissioned in reduced status as USS Antigone (AGP-16), 27 October 1944 at Algiers, LA. 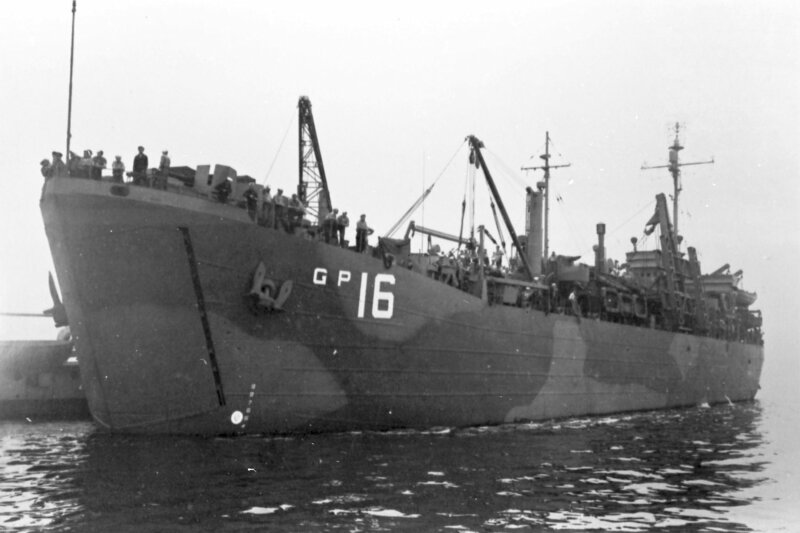 75k USS Antigone (AGP-16) at anchor in San Francisco Bay circa late 1945 or early 1946. Antigone had only one "A" frame hoist, to port. A cradle for repairing PT boats is stowed under it. © 2005 Gary P. Priolo © 1996 - 2009 NavSource Naval History. All Rights Reserved.